They are the latest trend in Disney ear headbands. The Potion Purple ears headband are the ears that guests are searching out in the parks. These don’t seem to be as hard to come by as past popular headbands, like the Rose Gold or Millennial Pink ears headbands. I haven’t seen posts of people saying the can’t find them, which is a nice change from the other popular ears. Another nice surprise is how quickly these have showed up online to have delivered to your home. 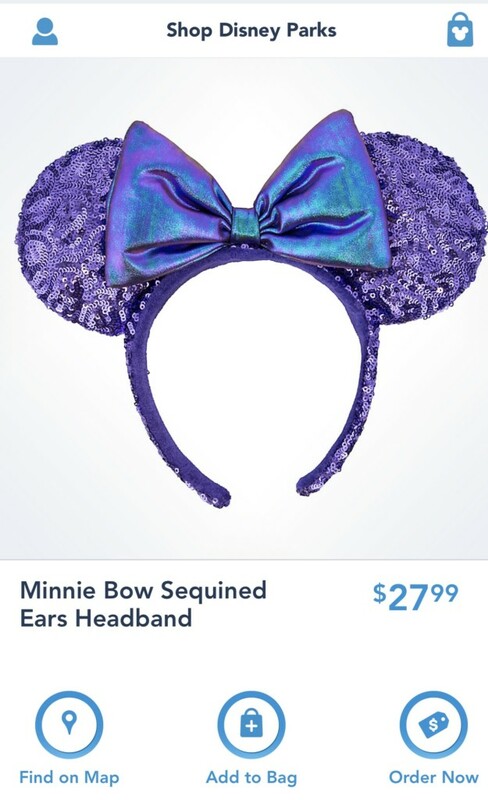 When I checked the Shop Disney Parks app this morning I was surprised to see the Potion Purple ears are available to order. So I placed them in my bag and ordered them right away. Purple is my favorite color and it’s my daughter’s favorite too, so I know she’s going to love these. I doubt these are going to stay available for home delivery for long, so if you have been wanting a pair I wouldn’t wait to long to order. It’s nice to see them available for home delivery so soon after their release though. I thought we’d have to wait a little longer, so it’s a nice surprise! In the app it’s listed under “New Arrivals” and it’s probably a little more than halfway down, so you have to scroll a bit to find it. 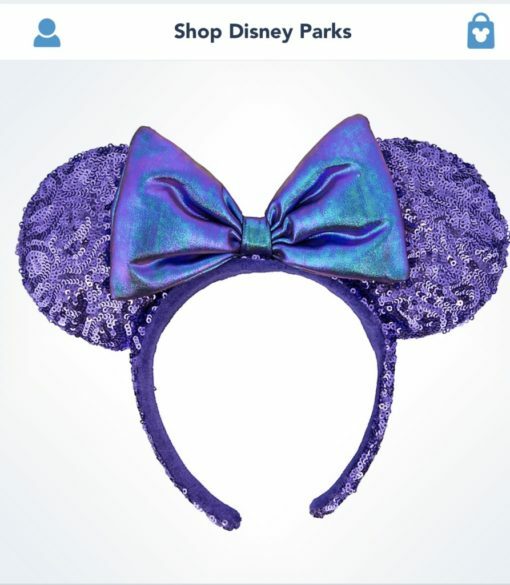 Also, it doesn’t say “Potion Purple,” it just says “Minnie Bow Sequined Ears Headband,” but they are clearly purple. As you can see above, the ears are the new standard price of $27.99. As of this morning (1/14/2019), they are available for home delivery on both the Shop Disney Parks app and at shopDisney.com. Happy shopping! Are you ordering a pair?